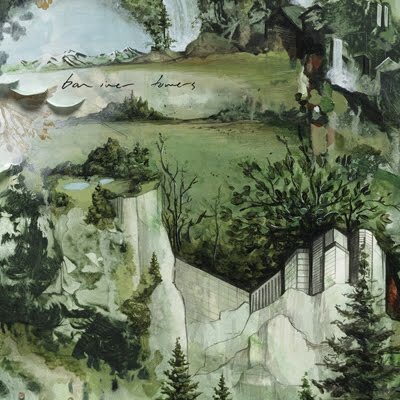 Bon Iver just premiered the newest video 'Towers' from the self-titled album Bon Iver. Nabil Elderkin was the filmmaker responsible for the epic 'Holocene' video and returned again to direct the video for 'Towers'. "When Justin sent me a breakdown of what certain parts/lines of the song meant to him I did my best to decode it and curate into something simple, and hopefully the viewer can take from it their own feeling of what the towers represent. It was shot up in Washington state, mostly on Indian-preserved land, and our actor's name was Mystic. He seemed to be very tuned into the land, and when he said he was also willing to fall into the freezing cold ocean up there (seems a bit sharky too), I knew he was my guy." 'Towers' 12" and digital single will be available for purchase on March 6th, and it includes a John Prine cover 'Bruised Orange (Chain of Sorrow)' as the B-Side.